What is it about a word search that gets kids so excited? In my 20 plus years of teaching, I've never seen a student not get excited to be able to work on a word search! I love to combine the excitement of a good word search with the benefit of a good vocabulary list. 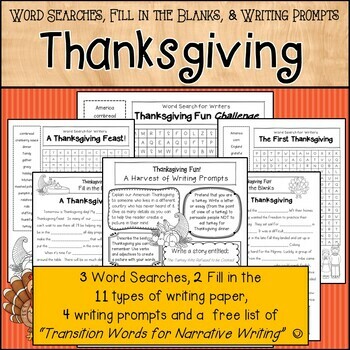 Even better…..give them some “fill in the blanks” activities for comprehension, a few good writing prompts…….. and your students will produce some great pieces of writing!! All they need are some great words to work with! 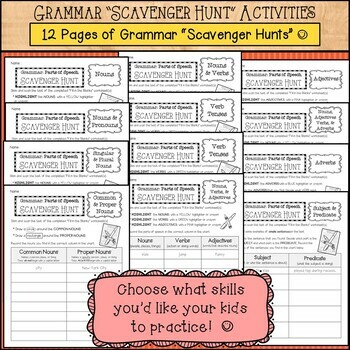 As a BONUS I've created some of my very favorite worksheets so your kids can get some fun grammar practice in as well!